Experience the world of Ralph Breaks The Internet with the new “The Void” virtual reality game Ralph Breaks VR. Earlier this month I attended the red carpet premiere of Ralph Breaks the Internet in Los Angeles. 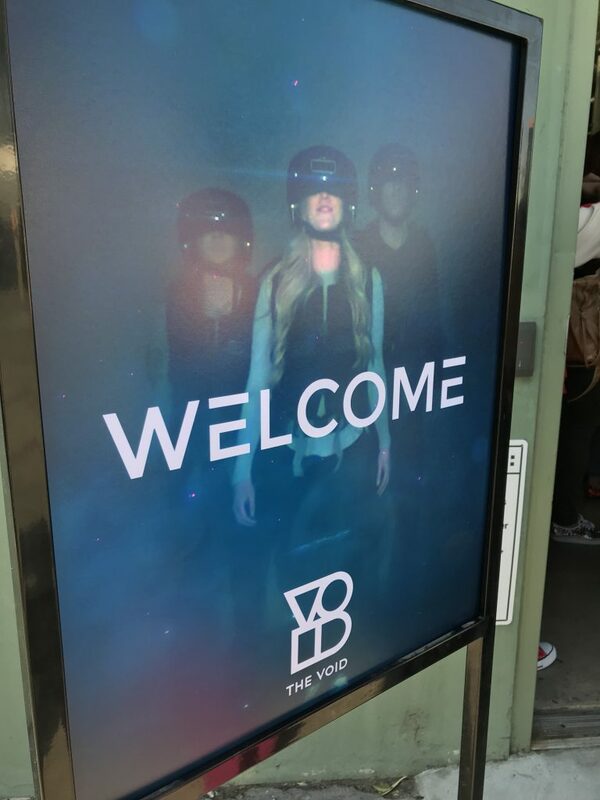 While at the event, I also had the opportunity to visit The Void and try the new Ralph Breaks VR, the latest hyper-reality adventure by ILMxLAB, The VOID, and Walt Disney Animation Studios. Tickets for Ralph Breaks VR are NOW on sale for opening day November 21st: Find pre-sale Ralph Breaks VR tickets here. I have to admit, as I entered the building to experience Ralph Breaks VR for myself, my nerves began to get the best of me. You see, I have the absolute worst case of motion sickness. I have tried other virtual reality things before and have to stop right away because I become so ill. So, one of the first questions I asked The Void employees was how this experience will effect my motion sickness. I was assured everything will be fine because I was in control of all movements within the experience. In fact, one of the creators of Ralph Breaks VR also suffers from the same motion sickness problem and he had never gotten sick from this experience. This calmed my nerves a bit but I was still a tiny bit of skeptical. We were put into groups of 4 and each of us chose our own character to be within the game. We were escorted to a wall where helmets and jackets hung and an employee assisted in “suiting” us up to enter Ralphs world! We were then given a gun to use in the game. As soon as the we “entered” Ralphs world, it was ON, I was hooked! We became the characters we chose and we could see the others as their characters. The movements were spot on. I began to dance and dab and I could see others following suit. We had not even started the game yet and I was having a blast! As I mentioned in my video above, entering Ralph Breaks VR felt SO real! I truly felt like I was immersed into Ralph’s world which included Ralph, Vanellope and some other fun characters in which you fight along the way! There is even a part of the game which included PANCAKES and let me tell you, I exited the game with a craving for pancakes because you could actually SMELL them while IN the game! Not only does this game include smells but it also included vibrations when you are hit with something AND heat! 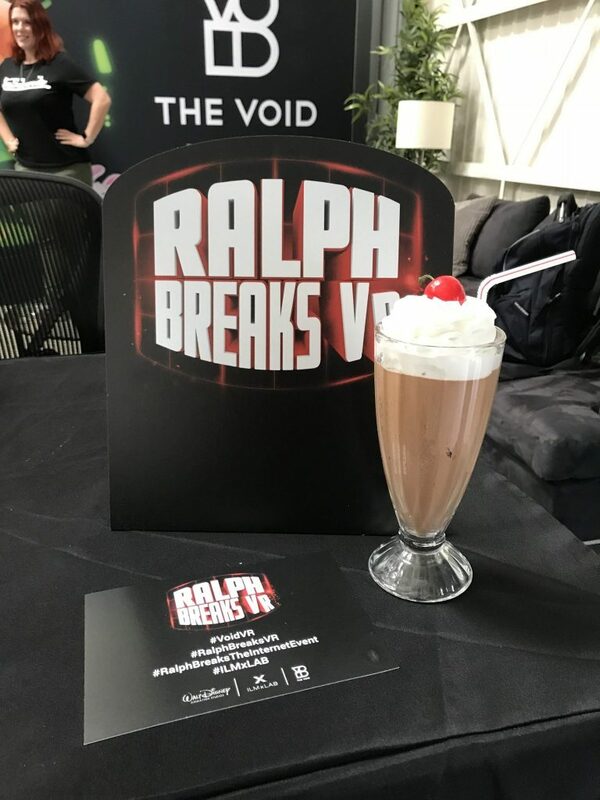 THE VOID thought of everything to make one feel like they were really in Ralph’s world! Check out The Geekly Shows Initial Reaction! Another tid bit you may want to know before experiencing Ralph Breaks VR is it keeps score!! As you go through the virtual reality world and finish small little missions in each section, you add up points and can keep track of your points (and others) by viewing your virtual watch throughout the game. This makes for some fun competition between you and family/friends and will want you coming back for MORE! Oh yeah, and I TOTALLY WON!! Did I become ill with motion sickness from the game? Not at ALL! I had completely forgotten about all worries once I entered the virtual reality world and began really getting into the game. When it was over it hit me, I did not feel one bit of motion sickness while in the game! I was amazed because I seriously become sick when in the back seat of a car, on a cruise ship, playing a video game at home and so much more but not during Ralph Breaks VR! 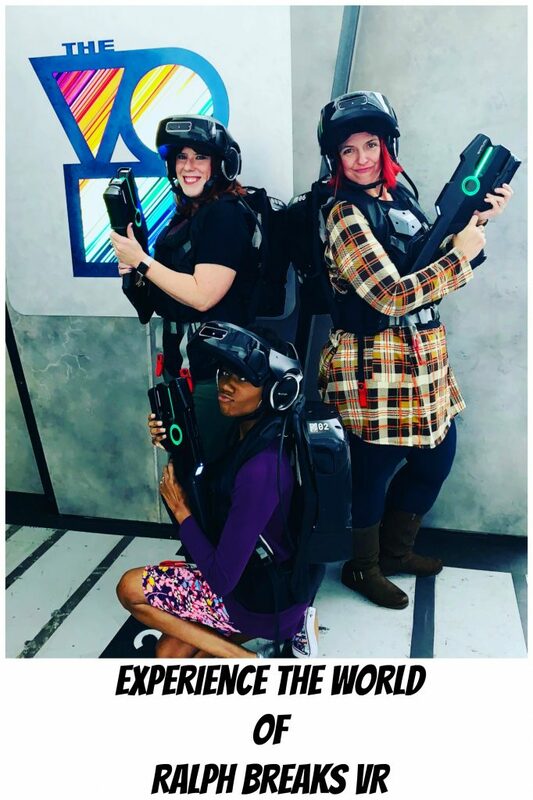 Next time you are at DOWNTOWN DISNEY® DISTRICT in Anaheim CA, GLENDALE GALLERIA in Glendale CA, GRAND CANAL SHOPPES THE VENETIAN | THE PALAZZO ® in Las Vegas NV or DISNEY SPRINGS® in Orlando FL; I HIGHLY suggested visiting THE VOID and experiencing Ralph Breaks VR for yourself! It is an experience you will never forget! 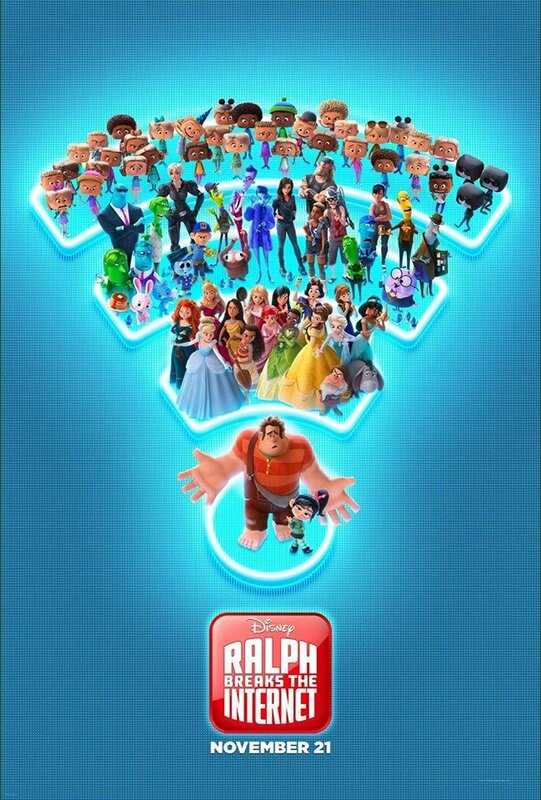 See Ralph Breaks The Internet in Theaters November 21st! I attended the #RalphBreaksTheInternetEvent on behalf of Disney and ABC in Los Angeles. This post is part of the required content series, all opinions and experiences are my own.